Welcome to the last entry for VeganMoFo 2014. VeganMoFo is the annual event where bloggers all over the world dedicate their blogs to posting about vegan food. This whole month, The “V” Word has focused on great vegan products that are worth writing about, reading about, buying, trying and spreading the word about. 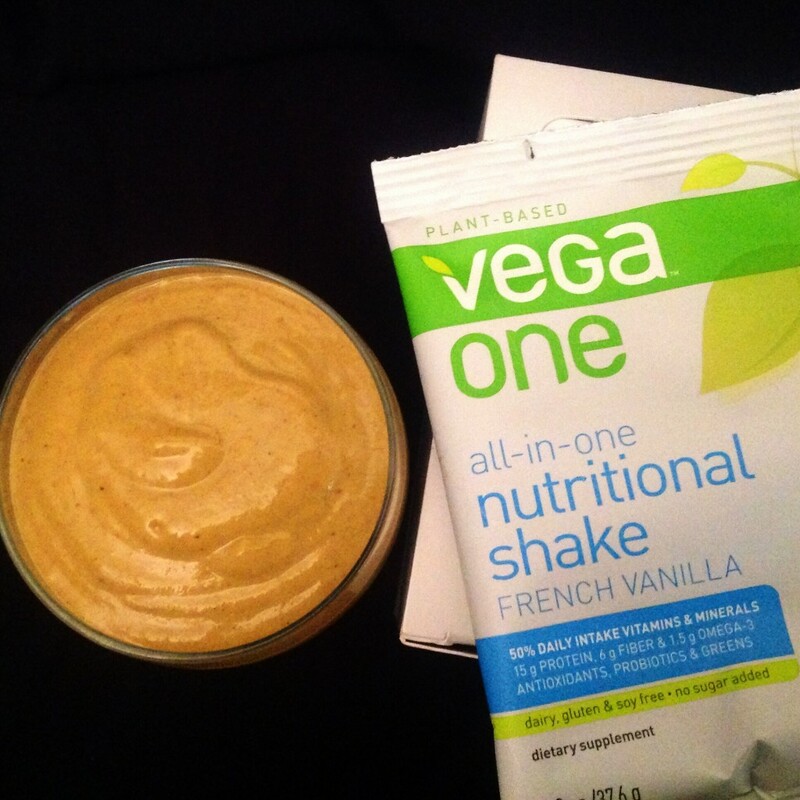 Today it’s all about Vega – clean, plant-based nutrition. 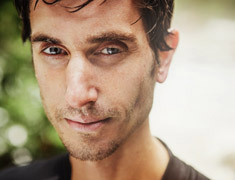 Vega got its start when Brendan Brazier, an athlete on the professional Ironman circuit, was told that his plant-based diet wouldn’t sustain him. Brendan embarked on years of research and discovered that nutrition was key to performance. He created a plant-based, whole food diet that helped him become a top professional Ironman triathlete. The problem was that Brendan was constantly traveling and he didn’t always have the time or the kitchen to create the meals he needed. 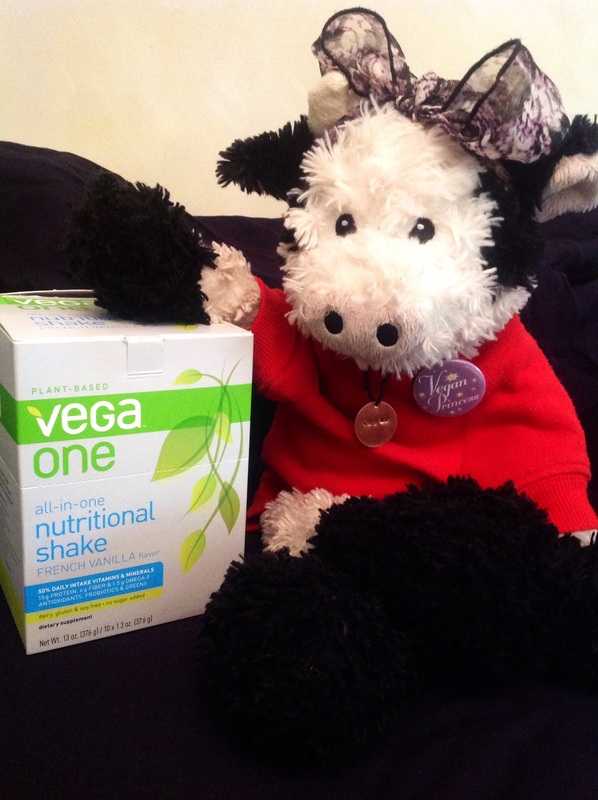 That led Brendan to create the original all-in-one nutritional shake that is now known as Vega One. That led to the creation of the entire Vega line of nutritional supplements. Vega has guiding principles we can all get behind: an alkaline-forming, plant-based whole foods diet helps build a platform for optimal health; nutrient density is more important than calories; your food should give you energy through nourishment, not stimulation; we should minimize exposure to sensitivity-aggravating ingredients; and it is possible to rebuild a younger-feeling body. 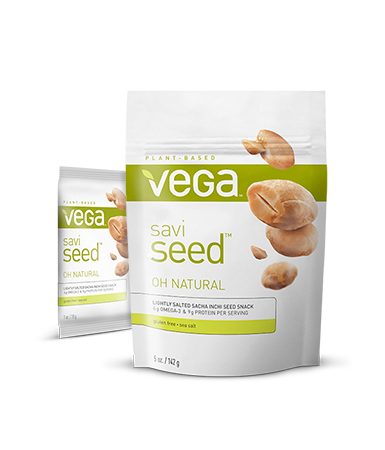 These guiding principles are brought to your body through Vega’s amazing products. 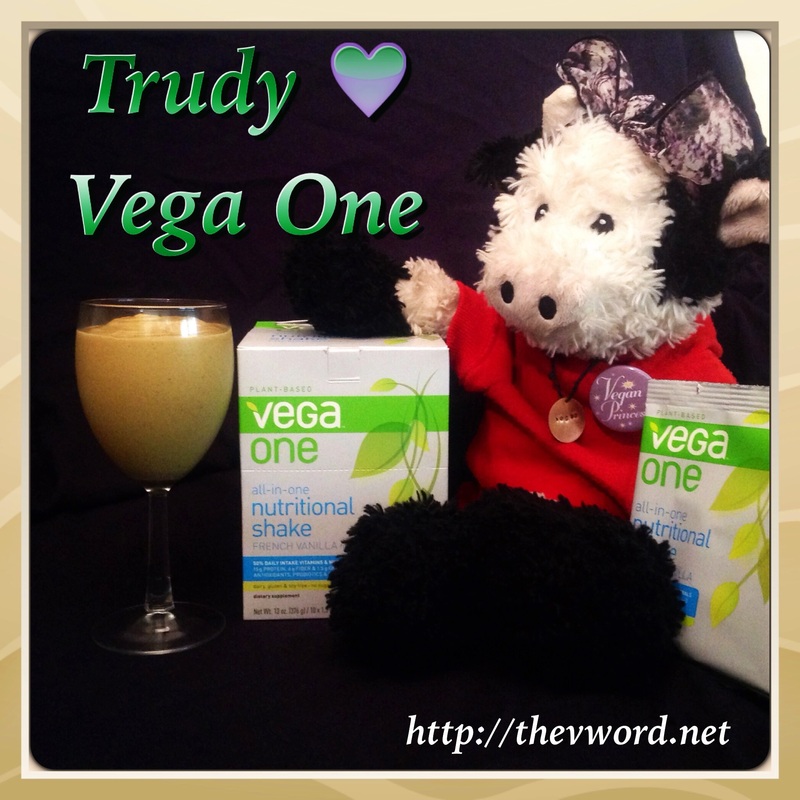 Vega One Nutritional Shake is made from natural, whole-food ingredients. It gives you 50% of your daily intake of vitamins and minerals, 15g. protein, 6g. fiber, 1.5g. Omega-3, antioxidants, probiotics and greens. It contains no dairy, gluten, soy. added sugar, artificial flavors, colors or sweeteners. 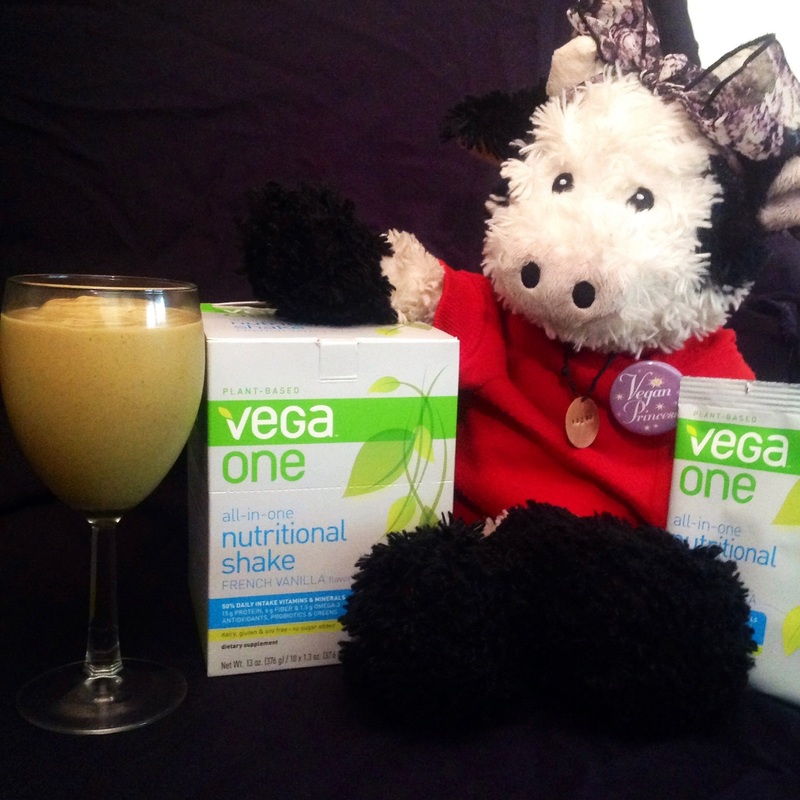 Vega One Nutritional Shake is available in French Vanilla, Berry, Chocolate, Vanilla Chai and Natural Flavor. You just mix it with water, juice or non-dairy milk or use it in your favorite vegan smoothie recipe. 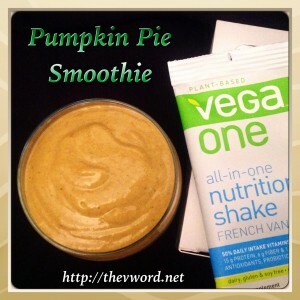 I wanted to create a special smoothie with my Vega One Nutritional Shake and since it’s autumn and pumpkin season, I made a Pumpkin Pie Smoothie. It was rich, thick and delicious. I used the French Vanilla flavor and blended it with pure pumpkin puree, banana, unsweetened cashew milk, peanut butter (no salt or sugar), cinnamon, nutmeg and cloves. The smoothie tasted like I had put a slice of pumpkin pie into a blender but without all the sugar, flour and other less healthy ingredients. The smoothie was so good, you would have to work hard to convince anyone tasting it that it was so healthy. Check out the recipe below. Trudy, The “V” Word spokescow, was happy to pose with the products and of course, she’s a fan of anything that doesn’t contain dairy. 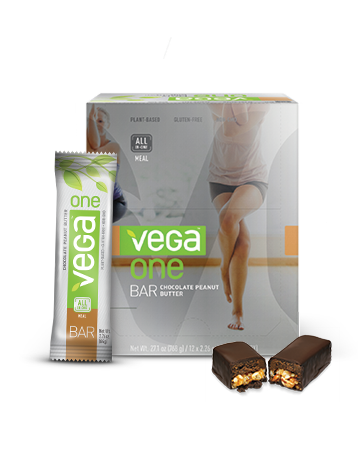 Vega One All-in-One Meal Bar lets you get all the things your body needs in a delicious bar. It may taste indulgent but don’t worry, it’s got everything you need: 12 g. protein, 4 g. fiber, 1 g. Omega-3, one serving of greens, 1 billion probiotics, 25 added vitamins and minerals and antioxidants. The meal bar is gluten-free and contains no artificial colors, flavors or sweeteners. It comes in Chocolate Cherry Almond, Chocolate Coconut Cashew and my favorite, Chocolate Peanut Butter. The bars are delicious, filling and taste healthy and indulgent at the same time. I always want one of these in my bag when I’m on the go. 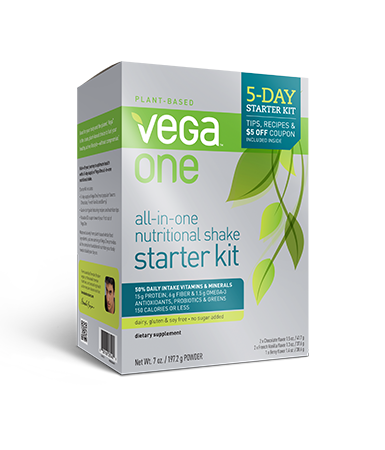 You can also get a Vega One All-in-One Nutritional Shake Starter Kit. It includes a 5-day supply of Vega One in Chocolate, French Vanilla and Berry, a quick-start guide with recipes and nutrition tips and a $5 coupon toward your first tub of Vega One. 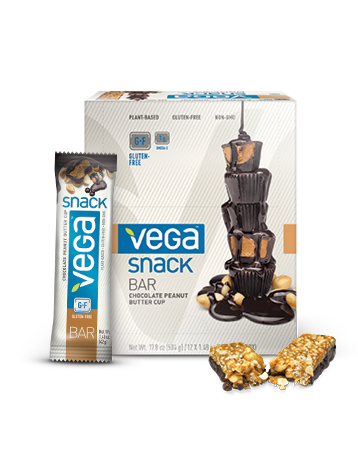 For people on the go, there are Vega Snack Bars in Dark Chocolate Mixed Nuts and Sea Salt, Chocolate Peanut Butter Cup, Dark Chocolate Cashew Cherry, Cranberry Almond, and Coconut Cashew flavors. 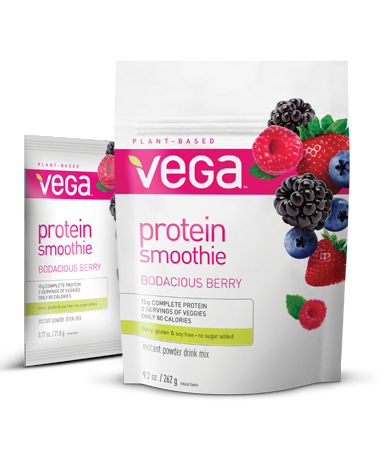 If you don’t have the time to make your own smoothie, Vega makes it for you with these on-the-go Protein Smoothie packs available in Bodacious Berry, Choc-a-lot, Oh Natural, Tropical Tango and Viva Vanilla flavors. SaviSeeds are healthy snacks available in three delicious flavors: Cocoa Kissed, Karmalized and Oh Natural. 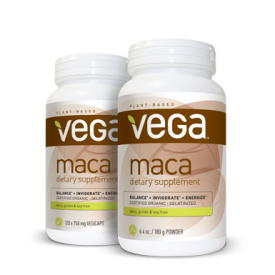 Vega also sells several types of function-focused supplements. Besides all the great products, take some time to browse the Vega web site. You will find information on all the products including how to order and a store locator. 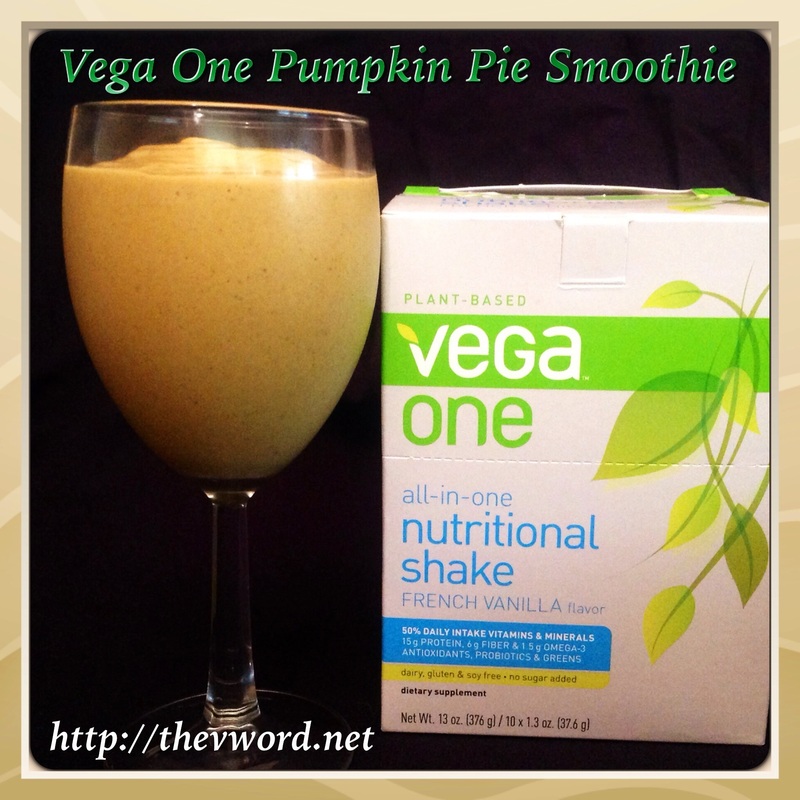 The Vega Life section has a blog, recipes, meal plans, success stories, and videos. You can also find out how to become a member of Team Vega. If you have an inner athlete waiting to come out or you just want some 0n-the-go meal replacements and snacks that are healthy, vegan, and taste incredible, you need to try Vega products. Thank you, Vega, for the amazing healthy vegan products! Be sure to look back at the whole month of VeganMoFo and all the wonderful vegan products I covered. It’s so great to live in a time when being vegan is easy, convenient and delicious. We should all take the time to spread the word about all the vegan products out there so we can go further in making the world vegan one product at a time. Combine all ingredients in a blender and blend until smooth. Drink and enjoy!